(RRP £499.99). A most beautiful suede leather full midi skirt (‘gypsy’ skirt) in pale sand soft fine quality suede. 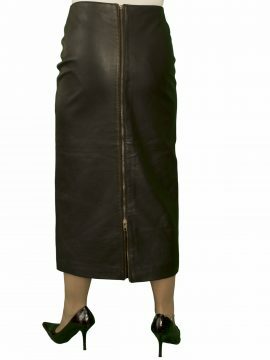 The skirt has a lovely full flare beneath a deep waistband made of bands of matching suede and leather. It has deep side pockets and is fully lined. Made in Germany by Zeiler. Please read our Product Description below for full information and important sizing information. 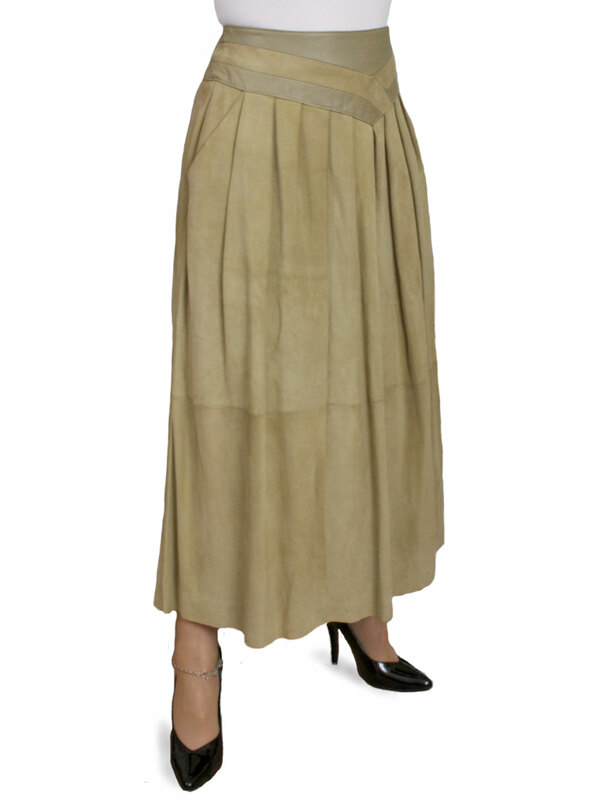 A lovely mid-calf length ‘gypsy’ full skirt in pale sand/tan beautifully soft fine quality suede. Deep ‘V’-shaped waistband, made with bands of suede and matching leather, beneath which the skirt is subtly pleated before opening out into a full flare. Length (from waist to hem): 32in-34in/81in-84cm. The skirt has a raw unfinished hem, so this can be shortened easily by trimming to the desired length without the need for stitching. Full loose lining (100% polyester).